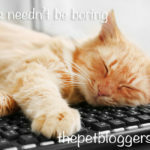 There are several different types of pet blog. We’ll be looking at how pet blogs vary in content, structure and type, and at the options available to you. When I first started blogging, I thought that a blog was just an online diary. I had no idea of the potential of blogging, of the potential for sharing information and resources or for teaching others via a blog. Or of the different types of website available to me. Strictly speaking a blog is a website where each post published appears automatically on a single webpage – the blog – in chronological order one after another. Each post is capable of being distributed automatically too. We’ll look at that in a moment. In practice, there are usually only a handful of posts on that single page and a system of pagination is set up so that you have to view another page to get at the previous posts. However, the principle of a blog is of this single stream or ‘feed’ of continuous date ordered distributable posts. Either via the RSS feed, or via email with the help of an automated blog distribution service such as that provided by Aweber. Any blogger can set up this distribution service but only if they have a blog enabled website with blogging software (such as WordPress) installed on it. All blogs are websites, but not all websites are blogs. A blog is a special kind of website consisting mainly of these distributable posts. Any website can have a blog, but not all websites do. Some websites consist only of static pages. Many businesses for example will have home and contact pages, pages for different products or services, and an about page, telling people a bit about them and their business. Most websites have many ‘static’ pages and those pages always contain the same content – that content doesn’t change unless the website owner alters and updates it, even if he or she posts fresh content on the website’s blog. A blog page changes every time a new post is published and pushes the previous posts below it. This is important if you want your website to get noticed, because Google likes fresh content. The line between blogs and websites is becoming blurred. Many websites now having blogs, and many blogs, like the Labrador Site also serve as complex websites. Traditionally, a ‘blog’ was a website where this ‘blog feed’ of continous posts, was also the home page of the site – the page you arrived at when you visited it. Each time you visit the home page of a traditional blog, if the owner has published new content, it will be right there in front of you. This is quite distinctive from most traditional business websites for example where the home page contains the same content from one day to the next. More recently many blogs have a static home page too, and the blog page or feed is on a separate page. You can usually reach this by a button on the menu bar. If you move the widgets around the content, that text and those images, move around with it. A blog whose home page consists of lots of these containers or widgets, stacked around one another, is known as a magazine style blog. The magazine style blog gives you a more dynamic home page. The reason that the content is constantly changing on the front page of a magazine blog, even without any effort from the blog owner, is that he or she can specify which posts appear in which widgets when they are published. So for example, you can have a widget that contains the most recent posts in a particular topic. Your front page widget could contain the latest post you made on breeding pet snakes for example. While the widget next door contain a different category, or older posts from the same category. You can insist that the display on your home page in one widget ‘skips’ a defined number of recently published posts, so that the two widgets are not displaying the same content. Widgets can be set up to display content in different styles, in rows or colums for example, and with different emphasis on the image size or content excerpt. Magazine style blogs work well with any blog that covers a range of different topics or categories, especially in an image rich subject matter. 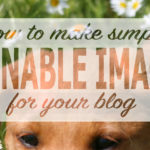 Pet blogs often lend themselves well to big bold images, so this style can be ideal. In theory, the magazine style home page helps ‘carry’ the reader who arrives on the front page deeper into the website. Though you shouldn’t assume this is what happens. More of that later. To sum up. A page contains one, static, piece of content. Pages are often used to contain material that is likely to be permanent in nature, key to the navigation of the site, and not frequently updated. Content published in pages does not get posted on the ‘blog’ page or sent out to blog email subscribers or distributed by the RSS feed. A post is distributable and posts can be displayed together in a traditional manner, on a single blog page if required. Posts vs Pages – which is best for pet blogs? The majority of content published on pet blogs is published as posts, in part so that it can be easily distributed. It used to be said that google prefers pages to posts, and gives them priority but we have not found that to be true on our sites. Of our top twenty published pieces of content on the Labrador Site only four are pages, and one of those is the home page. Other than the home page, all the top ten pieces of content are posts. Pages can be structured in a hierarchy with parent and child pages linked to one another. For example, you might have a page about feeding cats, with sub pages on different types of feeding. This isn’t a feature we have found particularly useful, and can result in long, clumsy looking urls. The main disadvantage of pages is that they are not distributed to your readers. The ability for blog posts to be distributed has considerable benefits when it comes to generating traffic to your site. Every new post will go out via your RSS feed. And you can set your email distribution service up to distribute blog posts automatically when they are published (or at a set time thereafter) if you wish. If you want to completely overhaul and republish a post, that post will then be redistributed to your fans. If you do the same to a page, no-one will know unless they decide to pay that post a visit. We’ll be talking more about overhauling and republishing old material in another article, but suffice it to say, this is an important part of managing any website more than a couple of years old. In the past we feel we over-used pages and now regret doing so, mainly because they lack this quality of being distributable. Here on the Pet Blogger’s Hat, we are not currently using many pages at all, but we may review that decision as we progress. I recommend you use a page for business contact details and for your About page, possibly for your key hub pages, though we have used posts here for the moment, and stick to posts, for pretty much everything else. 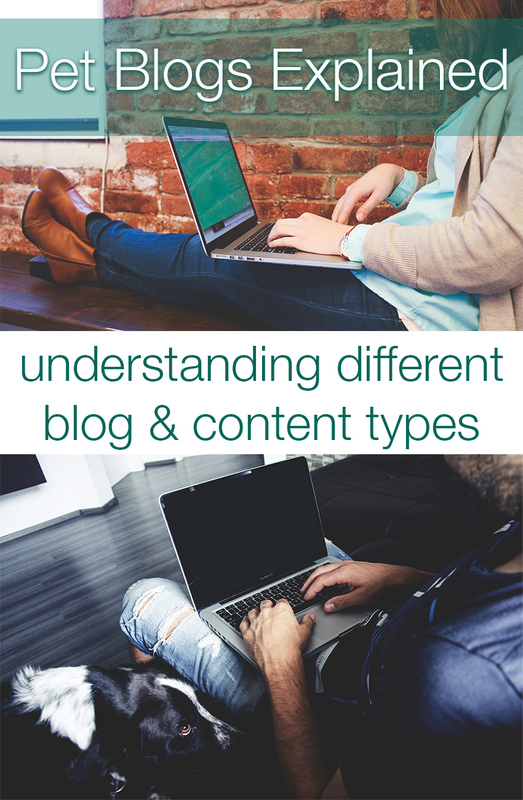 There are several key types of blog content and understanding the difference between these is important. Most blogs will focus on one of these content types. An authority blog is a website built around a blog, but one that provides a well laid out, well written and authoritative information resource on a specific topic. An authority blog may have a personal flavour but it presents information in a journalistic way – often offering different arguments on contentious topics and providing evidence to support any statements or conclusions it makes. The writers on an authority blog will have the necessary credentials for those visiting the site to be able to rely on the information within it. The Labrador Site is such a blog. Building an authority blog requires that you have the knowledge and credentials to present your topic, or control over those that do. Let’s say you are an authority on butterflies for example. You can write an authority blog on the topic. Alternatively you can pay entomologists to write for you. If you are a very good researcher – you can carry out your own research, and present the combined findings of many other authorities in a journalistic manner. An authority blog is ideal for those with expertise in a particular field, especially if it is one that has not already been done to death on the internet. A news blog can be hard work, it usually requires a team of writers gathering and editing up to the minute information and presenting it attractively. 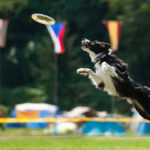 Many news style pet blogs curate information from other blogs. That is to say they will take an article published on another site, post the first paragraph on their news site, with a link back to the original article. Done well using a great many sources, a curated site can be a useful resource. Done badly, as it sadly often is, it just ends up as a ‘copy-cat’ site with huge chunks of information lifted from two or three other sites. Those being robbed of their hard work will eventually get fed up and get the news site taken down or excluded from Google’s search results. The personal blog is a very common way for people to start blogging. That’s how I got going, writing about my life in the countryside, training my gundogs, and raising pheasants. If your personal blogs starts to cover too many topics, you may find it difficult to attract an audience. 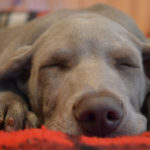 I eventually realised I was writing about ‘country life’,, ‘parenting my teenage son’, ‘working and training my gundogs’, ‘the science and theory of dog training’, ‘health and fitness’, ‘raising and training my labrador puppy’, and so on – all on the same blog. I was mixing instructional posts with humourous anecdotes and news items. And while I did have an audience, I was all over the place. I was confused, so I’m sure they were! Many personal blogs focus around a particular pet or pets and these can be very appealing and attract a lot of fans. Others do as I did and start a new blog for their authority site. Yet other personal pet blogs are ‘journeys’. Either a physical journey, travelling with a pet, or more often a metaphorical journey as the pet blogger learns, or shares their life experiences. There is no doubt that business owners benefit from blogging on their websites. Many pet related businesses lend themselves to a pet blog of one kind or another. 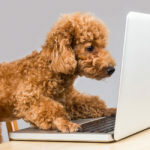 Online shops selling equipment and supplies for pets will all benefit from the addition of a blog to their websites. If you are a pet sitter, or a dog walker, a veterinarian, or a cat breeder. 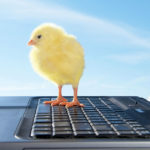 Or earn your living in some other way through pets, then adding a blog to your website will be a great way to raise the profile of your brand or service. Done well, it can transform the fortunes of a business. 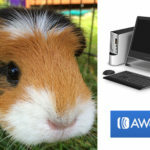 We’ll be going into this in more detail in another article, but for many people starting out on their first blog, purely as a hobby, a personal blog about their pet or pets is a good way to begin. 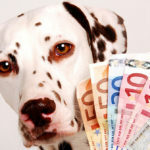 Pet blogs can sometimes earn money too. If you are starting out with the idea of generating an income from blogging in the long term then it will help to plan your topic carefully. We’ll be helping you do just that in our getting started section! Don’t forget to subscribe to get future articles delivered free to your inbox. And if you are about to get started, tell us about your new blog in the comments below!